The city of Teramo has ancient origins, was the capital of "Practotium", name gave under the roman dominion. On the dominion of the emperors Augusto and Adriano, the city lived a gold time, which was witnesses the baths, the theatre, the amphitheatre and many other monuments submerged from the new city. Over the year 1400 Teramo was dismembered from the wars over the families of Melatini, Antonelli, Spennati and Mazzaclocchi. After the authority past to Francesco Sforza and Alfonso d'Aragona and in the year 1798 until 1815 to the French, while the city turn back under Spanish rights, following afterwards the history and destiny of southern Italy. Campli is situated on a hill between the river valleys of Fiumicino and Siccagno, rich of architectonics monuments, which make Campli a city of arts. Campli is seat of a section department of archaeological national museum, which accommodate the remains of Campovalano's necropolis. The "Palazzo Parlamentare", became "Farnese" and situated in front of the cathedral "S. Maria in Platea" with his roman bell-tower and built on 1300, is a marvellous architectonical example of medieval epoch. 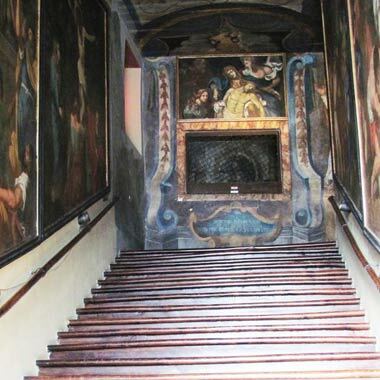 Also famous the "Scalar Santa" (sacred stairs) so named because, after 1776, usually was gave the indulgence to them who climbed it on their knee's. Allocated on feet of the "Monte Camicia", Castelli represents one of the most important tourist destinations of Abruzzo, and was native soil of famous ceramists, who served the kings of Naples and princely roman villas. Famous for his handmade-shops, Castelli is renamed "City of Ceramic". The origin of this art, go back to XIII Century and since this time this fine art come down from father to son in this small and characteristically village on the feet of "Gran Sasso". Since the XII and XI century b. 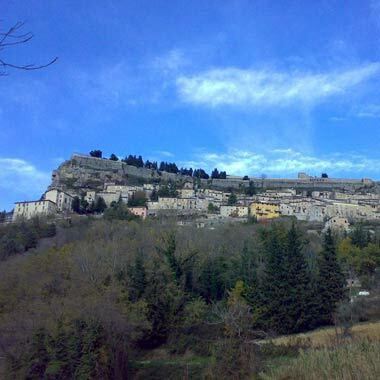 Chr., Atri was a prestigious city of an-cient time. 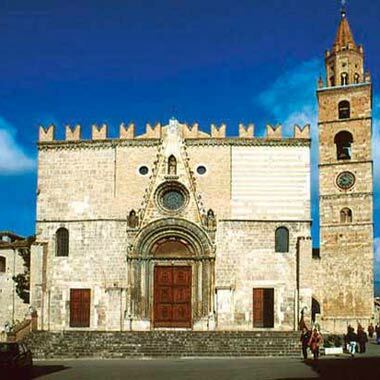 Atri was also the only city of Adriatic coast, who strikes his own coin before Rome and thank to his port, one of the most important exchange place. The thesis, that probably the Adriatic sea tucks his name from the ancient "Hatria". In the war against Hannibal, Atri was allied to Rom. The city had his most splendour under the dukes of "Acquaviva". 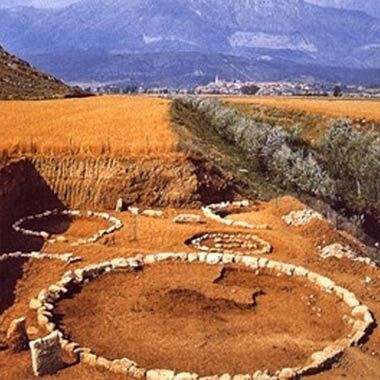 The numerous archaeological finds, disseminated on the surrounding area, are witnesses of the glorious past of Atri. 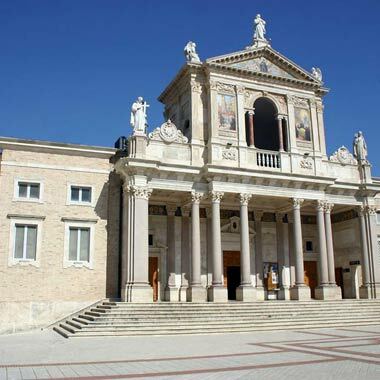 The religiosity of Abruzzo, down the millenniums, has concretized the expressions of devotion in some big sanctuaries. The first and biggest, where every year arrive more than 2 millions faithful, is situated on the feet's of "Gran Sasso" and is dedicated to a young Passionist Saint. His name is "San Gabriele dell'Addolorata". The fame of San Gabriele exploded in 1892 as his mortal rest was exhumed and on his thumb the first clamorous prodigies happen. 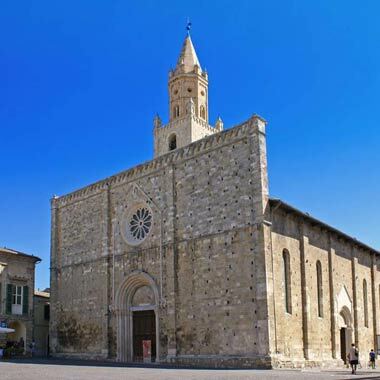 On 1920 he was declared saint and on 1959 the pope Giovanni XXIII declared him as patron saint of Abruzzo. Near to Civitella Del Tronto it's possible to make some excursions in the gorges of Salinello. A natural environment, which connect history, culture and nature between the two slopes of the Twin Mountains: "Montagna di Campli" and "Montagna dei Fiori". 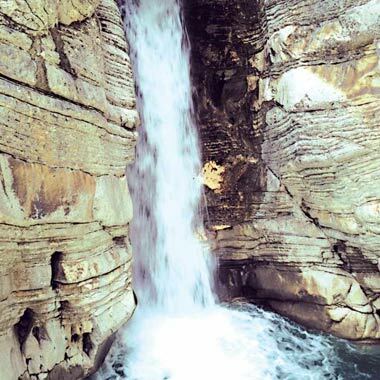 author of this natural monument was the torrent "Salinello", whit his influence on the entire mountain, realized in millions of years a few kilometres long gorge, 200 m high and from 5 to more quantity of 10 meter large, determining waterfalls, caves and cavities. 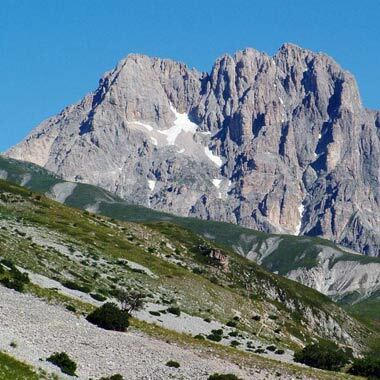 The Abruzzo owns one of the most precious and protect areas of Europe, the National Park of "Gran Sasso e Monti della Laga". The millennium old man work is been integrated in a harmonic way in the marvellous natural contest, enriching it more. A nature, where numer-ous faunal and floral species lives, rich on forests, springs, waterfalls, prairies, highlands, and vertiginous crests and rock faces. The most representative animals on this area are the wolf, the chamois of Abruzzo, the bear, the golden eagle and harrier eagle. The territory of the national Park constitutes a "European Monument of Biodiversity". In the far April 22nd 1557, the farmer Bertolino was picking up wood, and saw a big light, with the smiling Virgin. 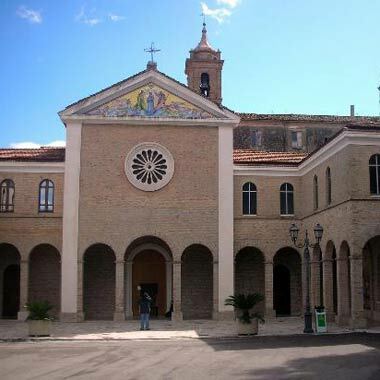 She assigns him to announce the community the most beautiful notice: God's Mother chooses the small town of Giulianova to be honoured with the construction of a sanctuary. 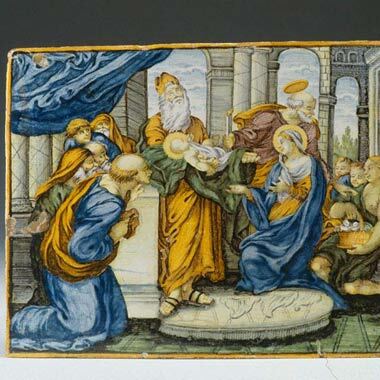 As prove of this miracle, a still existing, pure water source was gushing on the foot of an olive three. The visitor, who passes throw this small town, may visit the source of miracle and will be blessed from the Madonna, when he wet himself without delay and make the sign of the cross. Campovalano, famous for his giant church and the annex monastery of the X century dedicated to St. Peter, rich in witnesses of stones, statues, wooden sculptures and frescos of various ages. On 1967, in the plain, started the first archaeological excavations of one of the larger necropolis Picene, dated from XIV to III Century B. Ch. Until today was excavated about 600 sepulchres of the after 2500 presumed, with rescue of various materials showed in the archaeological museum of Campli and Chieti, awaiting the arrangement of the entire archaeological park. It is actually in phase of construction of a multimedia grave and adjusts of the all area with realisation of a building allocated to reception, service and show.